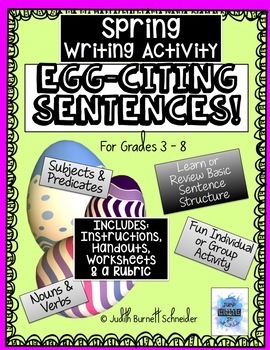 Spring Writing Activity: EGG-Citing Sentences! 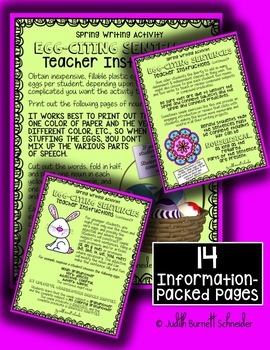 Egg cartons or baskets full of colorful plastic eggs stuffed with words make this writing activity engaging and fun. Students select four eggs and create sentences using the noun, verb, adjective and adverb inside! 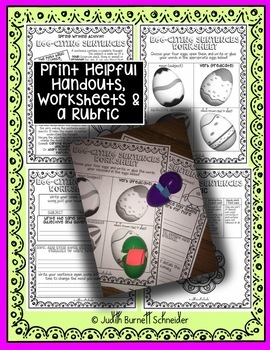 Printable handouts and worksheets are included, as well as instructions and a rubric. 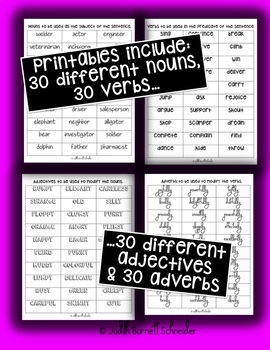 This activity is a great introduction or review for basic sentence structure involving a subject and predicate. Simple exercises like this one often "click" with students, making the lesson more memorable and useful in all their writing projects.